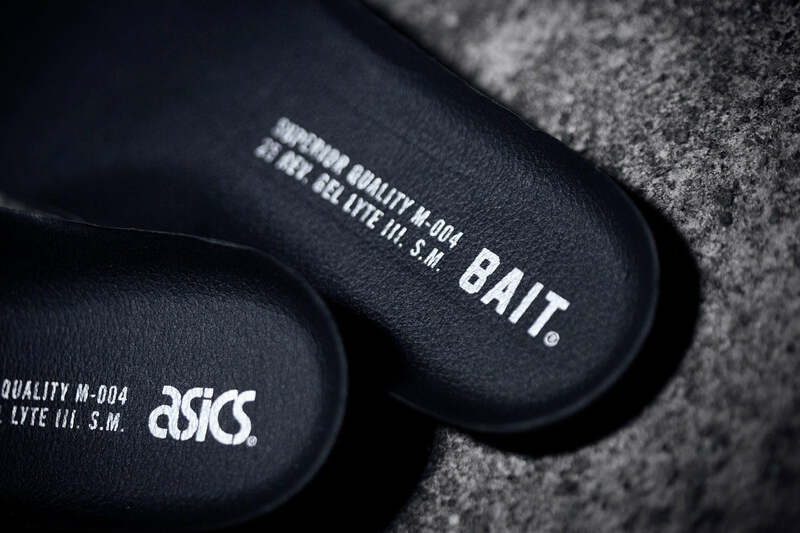 BAIT present their contribution to the 25th anniversary celebration of the ASICS Gel Lyte III. 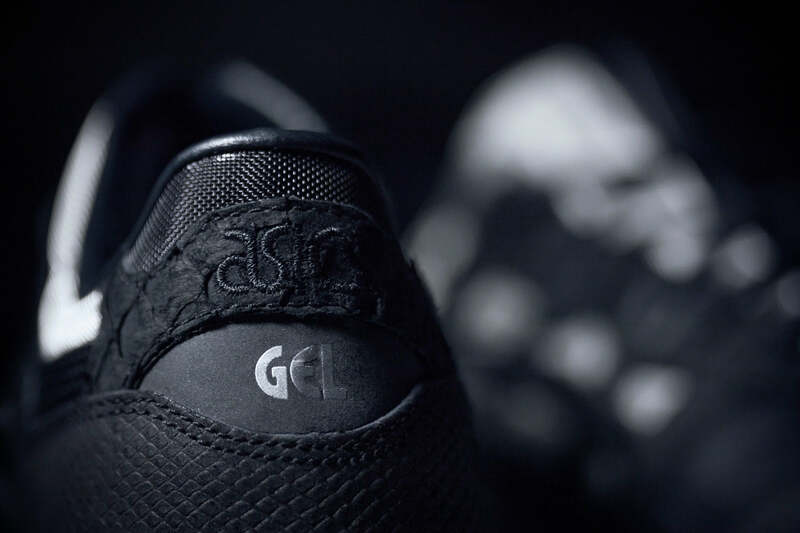 The BAIT x ASICS Gel Lyte III “Nightmare” marks the 4th release from their hugely successful “Models” project. 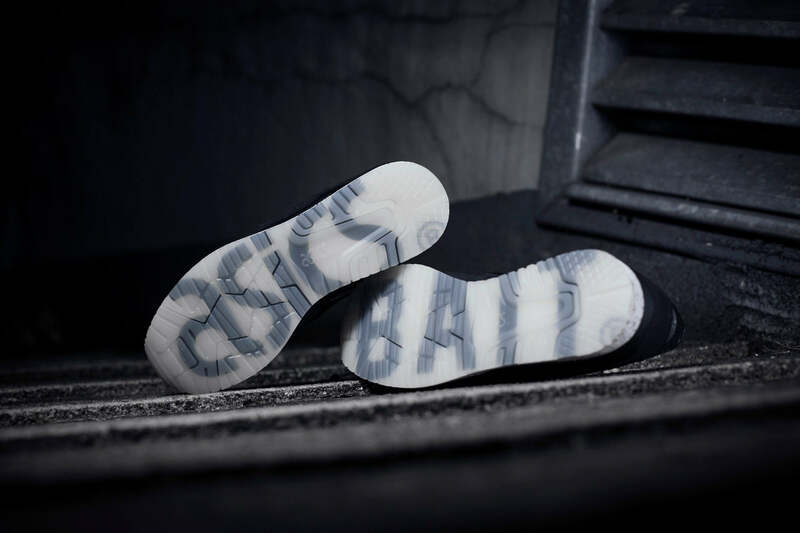 Featuring a combination of Tilapia skin suede and scaled reptile suede. 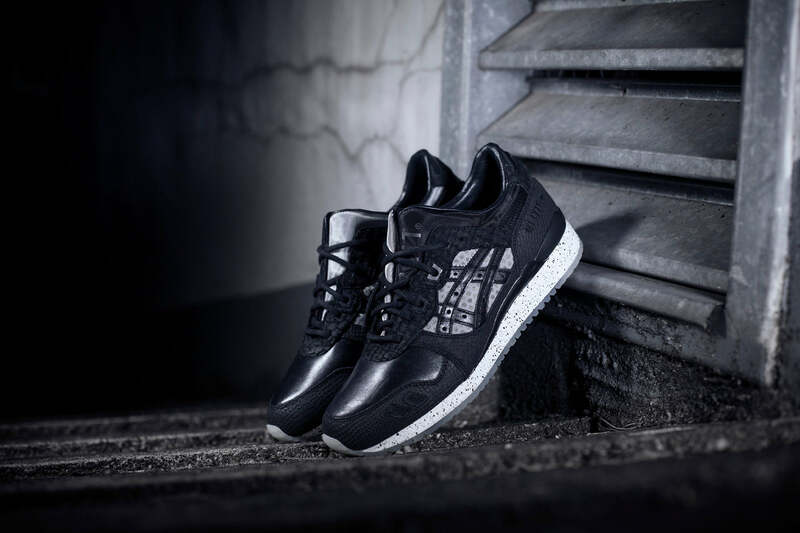 Premium Japanese full grain leather appears on the vamp and form stripes. 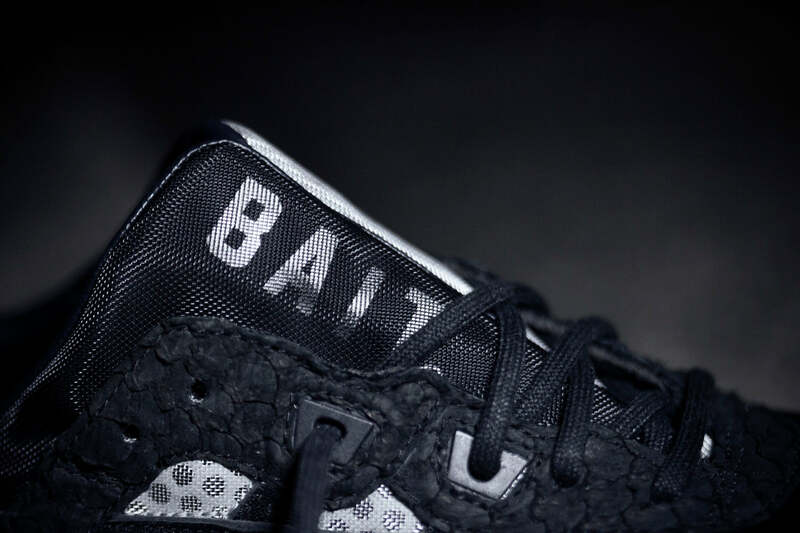 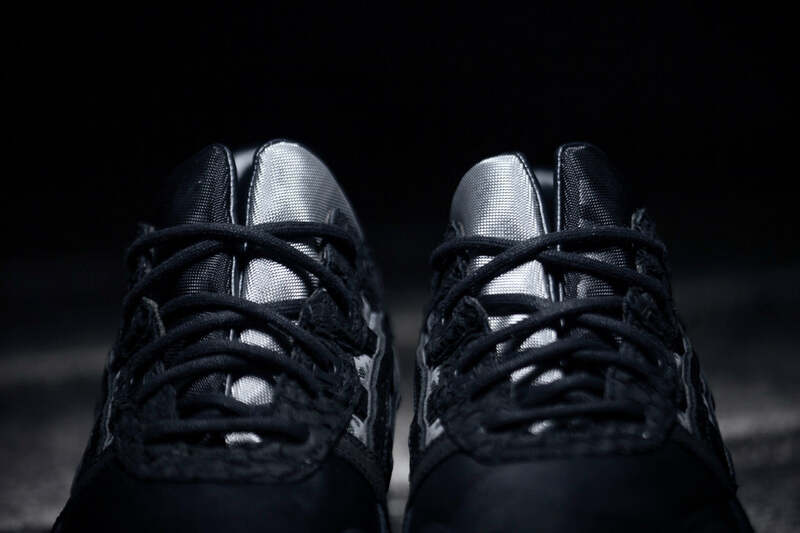 The split tongue consists of a black and silver wire mesh branded with the BAIT logo in reflective 3M and backed with black leather on the lining.BAIT x ASICS logos can be seen beneath the translucent ice gum outsoles.